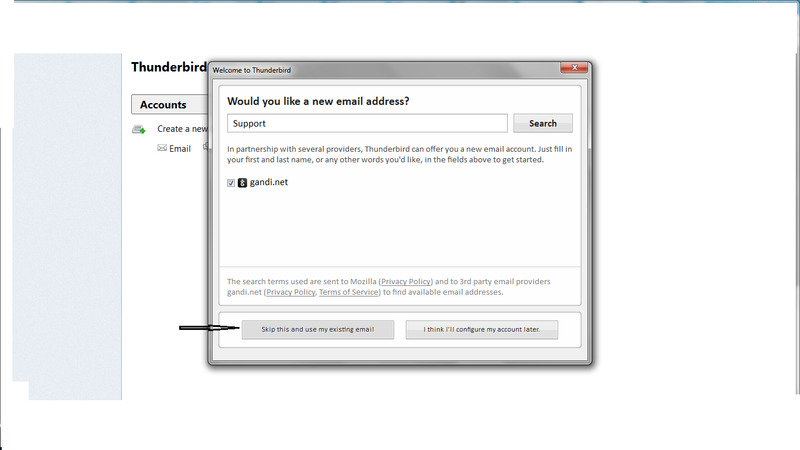 Home/Knowledge Base/Email/How to set up your email account in Thunderbird? 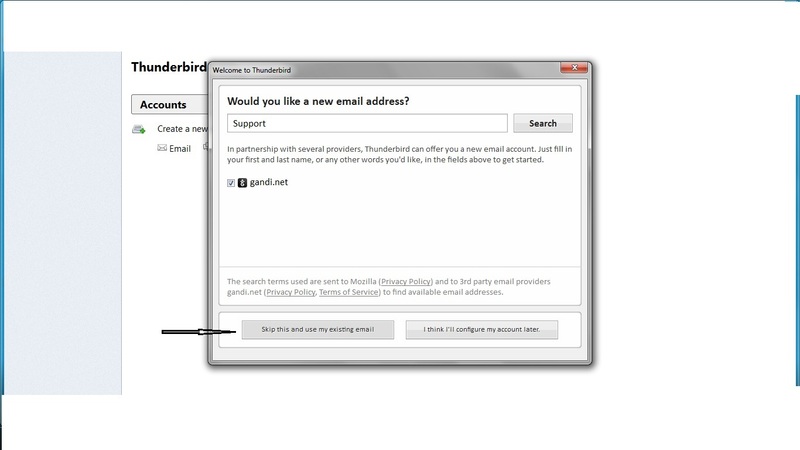 How to set up your email account in Thunderbird? 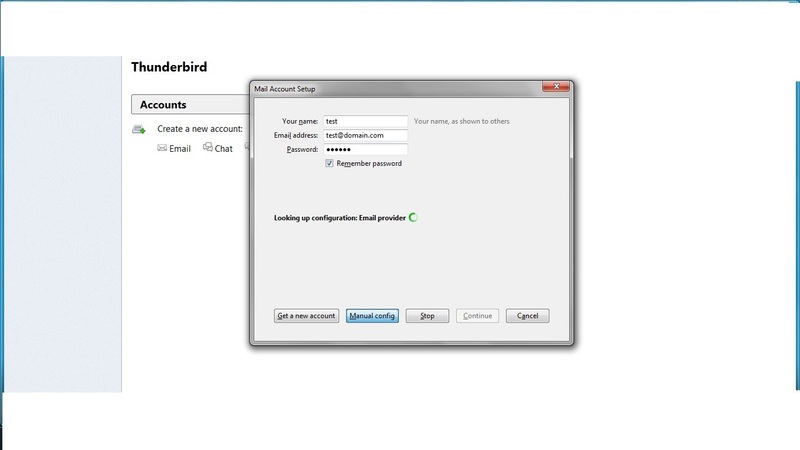 If you wish to access your email account with Thunderbird, please follow the instructions below about email setup with Thunderbird (SSL). Click to zoom the images. 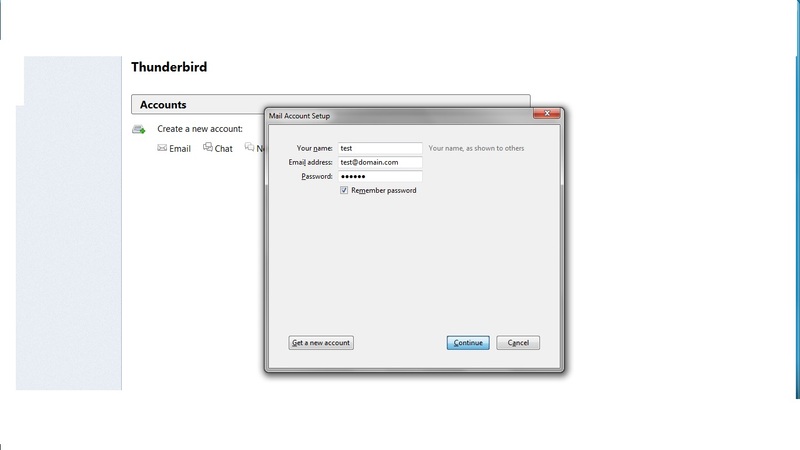 2) Under create a new account, click on Email. 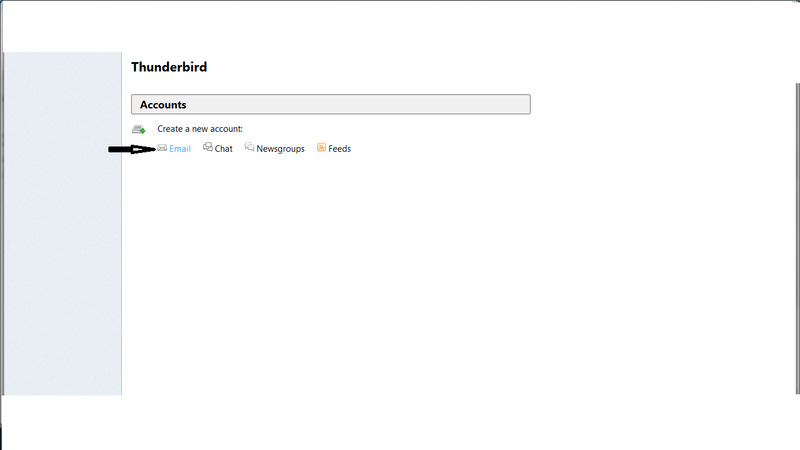 3) A new window pops up and you may select ‘skip this and use my existing mail’. 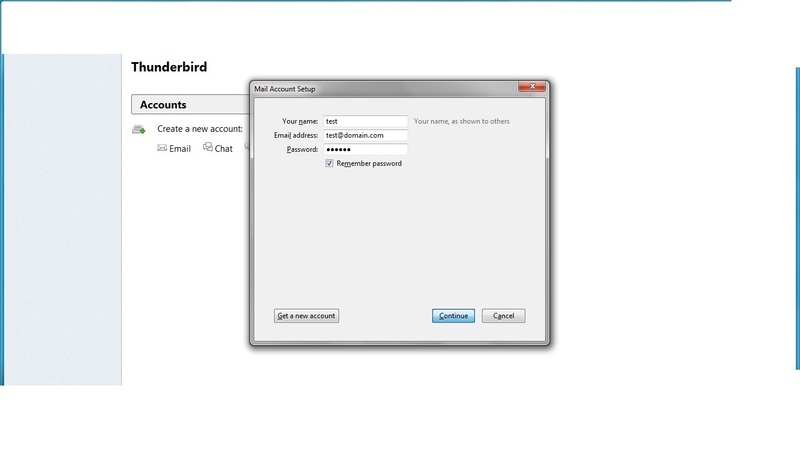 4) A new mail account setup window pops up where you have to give your Name, complete email address, password and tick the option Remember password and then click continue. 5) Once you click continue, you may select the Manual Config option. 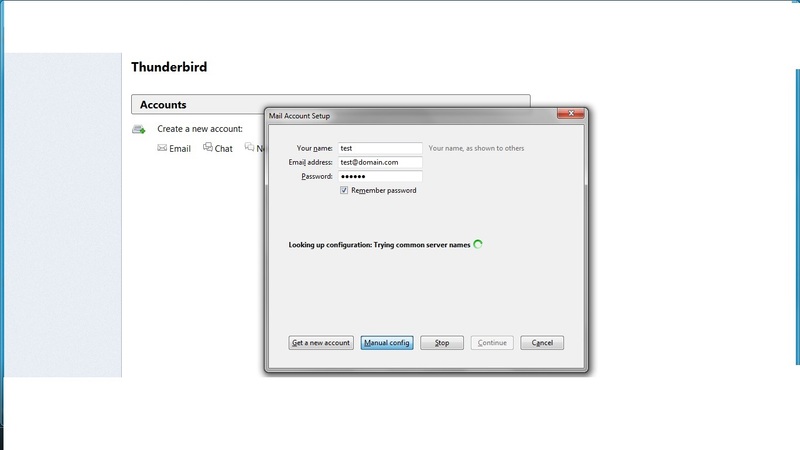 6) A new window pops up where you have to give your Name, complete email address, password and tick the option Remember password. 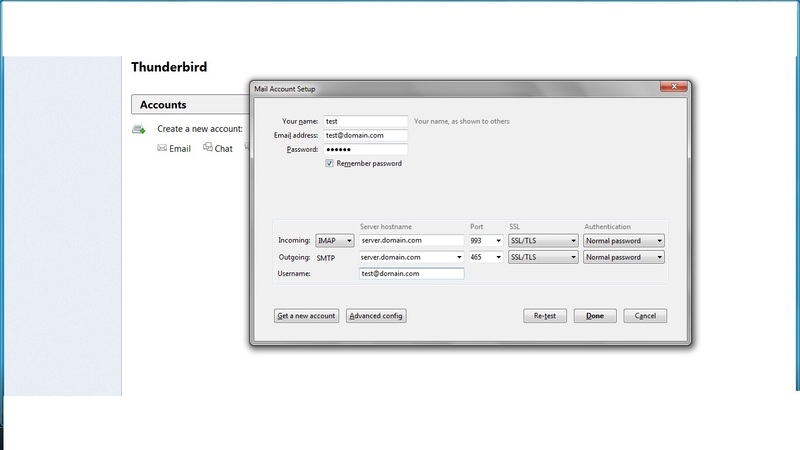 Select the Incoming mail server as IMAP, you may give the server hostname as mail.domain.com, port as 993, Under ssl you can choose SSL/TLS and for Authentication you can choose Normal password. For Outgoing, SMTP will be shown by default, you may give server hostname as mail.domain.com, port as 465, Under ssl you can choose SSL/TLS and for Authentication you can choose Normal password. Click on done. Alternative incoming and outgoing server: server.vodien.com which is your hostname. 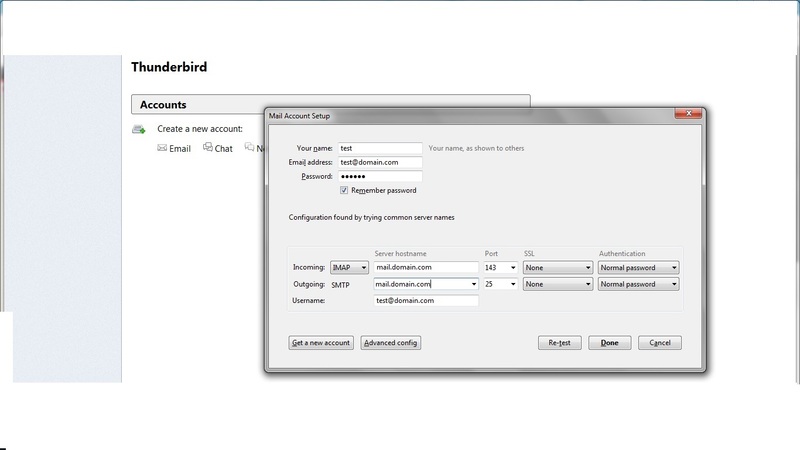 Select the Incoming mail server as IMAP, you may give the server hostname as mail.domain.com, port as 143, Under ssl you can choose none and for Authentication you can choose Normal password. For Outgoing, SMTP will be shown by default, you may give server hostname as mail.domain.com, port as 25, Under ssl you can choose none and for Authentication you can choose Normal password. Click on done. 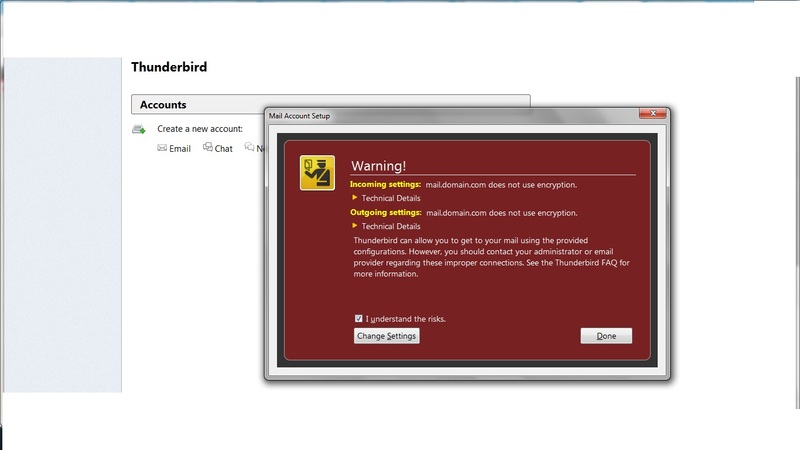 7) A new window popsup to show the security warning, you may tick ‘I understand the risks’ and finally click done.